When the 2016 models arrived at Keyes Toyota, there was something missing from the Toyota Tacoma lineup. What was missing before is back now. The 2017 Toyota Tacoma TRD Pro is back in the saddle, and that's great news if you want a tough and capable off-road performer. Here's what makes this particular truck, at this trim level, so unique. Your Northridge, CA area Toyota dealer has never lacked for four-wheel drive options. After all, each Toyota Tacoma can be outfitted with 4WD. But if you're serious about off-roading, there are two different ways to get there in a Toyota Tacoma. First, there's the TRD Off-Road trim. For better performance on rough terrain, it features a low-speed/low-gear cruise control known as Crawl Control, a Multi-Terrain Select system that lets drivers customize performance on dirt, gravel, rocks, and mud, and a locking rear differential. Sounds good, right? Except the TRD Pro includes all the best of what the TRD Off-Road offers and ups the ante. Its ground clearance is higher, its suspension -- from its Fox shocks to its coil and leaf springs -- is stronger, and it even features Kevlar-reinforced Goodyear Wrangler All-Terrain tires. It wears its brute strength on its sleeve with a special grille design and graphics, Rigid-brand fog lights, and other design flourishes. Its short box and crew cab configuration gives you plenty of space for passengers and gear, while the 278 horsepower V-6 engine gives you enough power to haul everything no matter what conditions you may come across. For Crawl Control and Multi-Terrain Select, you'll need the six-speed automatic transmission; opt with the six-speed manual if a clutchless start in low gear is a higher priority. Any brand can say it's serious about off-roading, and just about every truck manufacturer does. With the 2017 Toyota Tacoma TRD Pro, Toyota puts its money where its mouth is. There's even a nifty GoPro mount so you can document your off-road travels. See the complete package at your Toyota dealership serving Los Angeles, CA. You can call Keyes Toyota at 800-296-3052, or just drop by 5855 Van Nuys Blvd in Van Nuys, CA for a test drive. A recent conversation between Toyota chief engineer Satoshi Ogiso and the folks at Forbes magazine caught our attention. 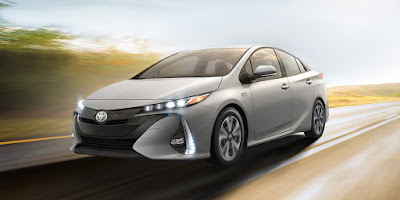 It says a lot about where Toyota is right now as a company, where they see their future, and what that means for what you're likely to see on the roads around Glendale,CA and North Hollywood,CA as well as at the Keyes Toyota showroom. The first key takeaway: it's now cheaper to build a hybrid like the 2017 Toyota Prius than it is to build its diesel equivalent. That's a pretty clear sign that the days of diesel are numbered, at least as far as Toyota is concerned. Given tighter emissions standards and the multiple hits diesel has taken in the press in recent years, there's a clear business case for moving away from diesel as it is. If Toyota already has an option in its arsenal that's better, and cheaper to boot, that business case becomes a no-brainer. By 2050, he continues, 90 percent of new vehicles will be EVs. There are hurdles to clear before we get to that point -- most of the country hasn't embraced electric vehicles and infrastructure like high-capacity charging stations that keeps them running -- and there are cultural concerns that would need to be overcome as well. In the States we like big vehicles, and we like suburbia even if we have a love-hate relationship with the long commutes it brings with it. Some of us are already thinking ahead about the cars we'll be driving because we're thinking ahead to the kind of world we'll leave to future generations. That makes the rise of EVs (and their falling costs) a big deal, and we're glad that Toyota is leading the way. We invite you to visit our Toyota dealership to see what's new and what's next. Call Keyes Toyota at 800-296-3052, or visit our showroom at 5855 Van Nuys Blvd in Van Nuys, CA today. The Hollywood, CA drivers served by Keyes Toyota are in for a bit of a surprise in the spring of 2017. We wouldn't be surprised if we heard "Arigato gozaimashita, Toyoda-san" from our customers the first time they see the 2017 Toyota C-HR at our showroom. When he took over as CEO of Toyota, Akio Toyoda promised more fun from new Toyota cars, and this quirky new crossover lets everyone know that he was serious. 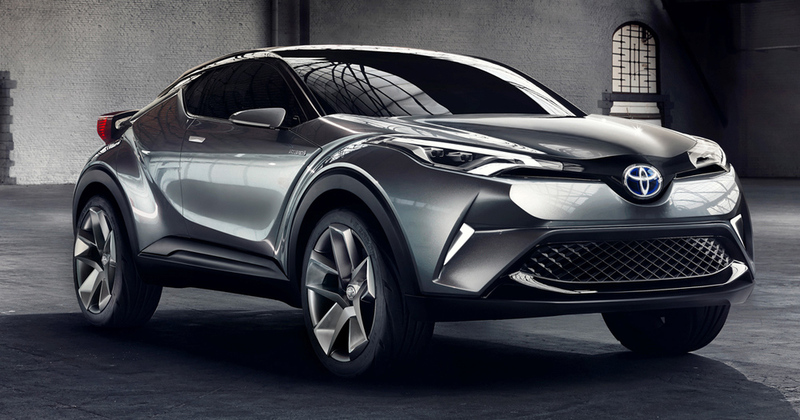 We tried not to get our hopes up when the Toyota C-HR was shown at the 2014 Paris Motor Show as a three-door concept, and again in Frankfurt in 2015 when it was shown as a four-door. After all, nobody thought a crossover this quirky would see daylight in that form. It had -- and still has -- an easy grace that sets it apart from anything else on the road, combining crossover utility with a slightly lower ground clearance for better handling. The production model shown at the Geneva Motor Show earlier this year made it clear that Toyota was committed to what made their new crossover so interesting. While it's technically a compact crossover, there's something in its profile that suggests a coupe. In its European versions it comes standard with front-wheel drive (AWD is optional) and a choice of gas or hybrid powertrains. It offers more space than some of its closest competitors, and is sure to turn heads on the road. While the 2017 Toyota C-HR is already available in Europe, the powertrain options may not be the same once this compact crossover comes to the States. Once those details -- and others -- are available, we'll report them here. In the meantime, there's plenty of fun driving to be had at your Toyota dealership serving Los Angeles, CA, from the stylish Toyota Yaris to the off-road thrills of the Toyota Tundra TRD. Thank you, Mr. Toyoda. 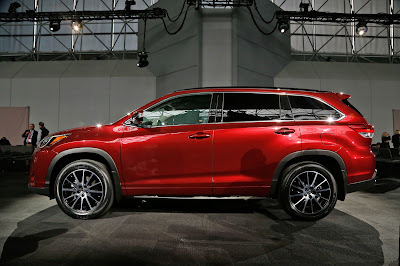 To find out more, visit Keyes Toyota at 5855 Van Nuys Blvd. in Van Nuys, CA or call 800-296-3052 today. Is it 2017 already? Well, it is here at Keyes Toyota. Some 2017 Toyota models are already on our lot, and more are just around the corner. Below, we're charting some of the changes that are in store for new car buyers in Los Angeles, CA looking for their next car, crossover, or minivan. 2017 Toyota Corolla: Talk about major milestones: the Toyota Corolla turns 50 in 2017. What will you be getting for the big five-oh? The Toyota Corolla gets a mid-cycle redesign that features the same powertrains but a more updated look. There'll also be an anniversary edition, which we'll feature when more information becomes available. 2017 Toyota Highlander: The Toyota Corolla won't be the only vehicle getting a new set of "clothes." 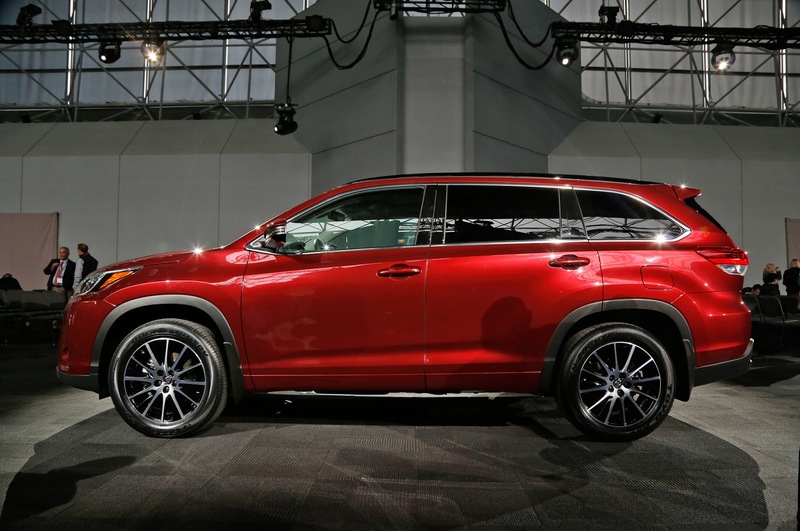 The 2017 Toyota Highlander comes in for a mid-cycle refresh as well, getting a new SE trim level that adds sport suspension and some other perks, plus a 3.5 liter V6 engine and eight-speed automatic transmission drive train that it shares with the Toyota Tacoma. New front and rear fascias are on tap, and Toyota Safety Sense active safety features will be available as standard equipment across the lineup. If you don't see a model listed above, it's likely only receiving minor trim changes for the 2017 model year. But if you're looking for a new Toyota, or if your old Toyota is coming off lease, there's a lot to like about the 2017 lineup. Curious? Call your Los Angeles Toyota dealership at 800-296-3052 or visit Keyes Toyota at 5855 Van Nuys Blvd. in Van Nuys, CA today.